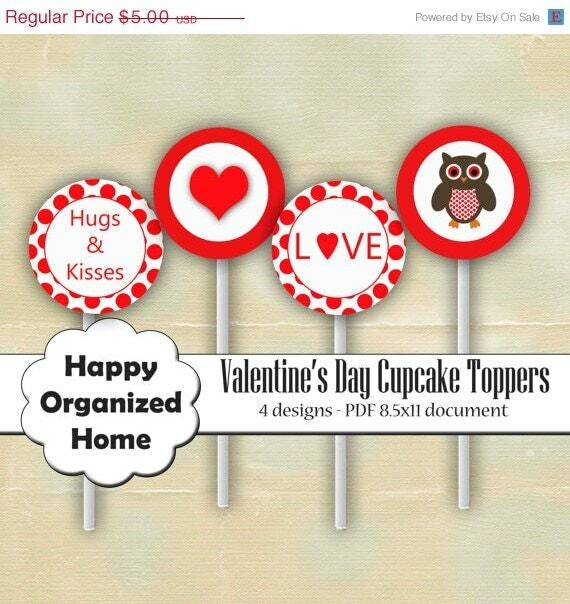 With Valentine's Day just around the corner, all I can think about is what I am going to do and how am I going to decorate. Valentine's Day is a perfect holiday to spend together as a family and to celebrate the love that you all share with each other. 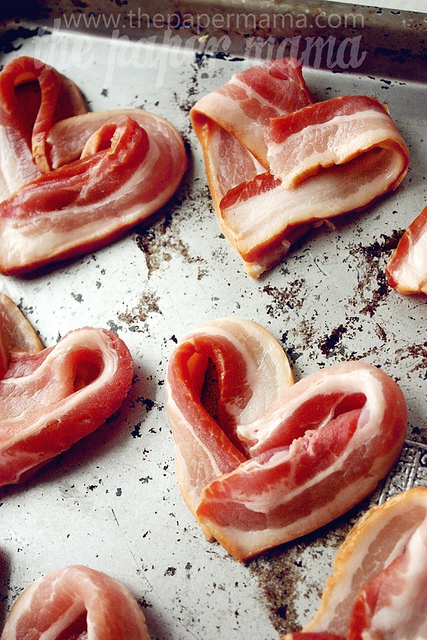 For us, Valentine's Day is an all Day Event. This week I will be sharing a post every day of how to get ready. I will include some tips and ideas on how you can celebrate this day together, with food, fun and of course some decorations! 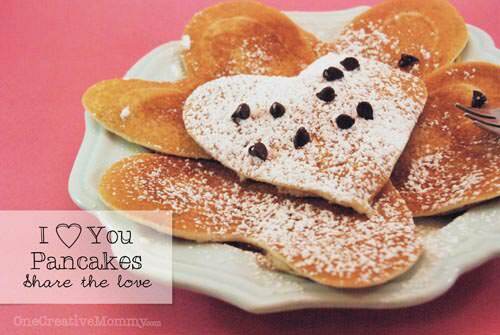 Today, let's talk some of the decorations you can include in your Valentine's Day celebration. In my Etsy shop, for Two Days only, everything in 60% OFF. 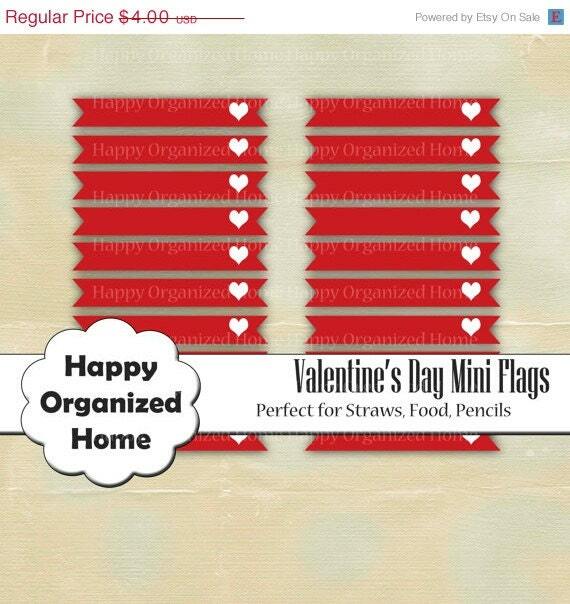 This includes all of my Valentine's Day Printable Decorations. 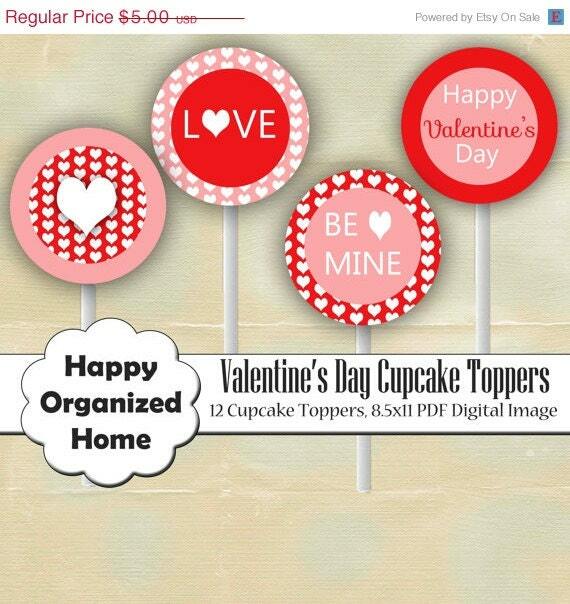 One of the easiest and fun items to include with your decorating is some cupcake toppers. Who doesn't love a yummy cupcake with LOTS of frosting. 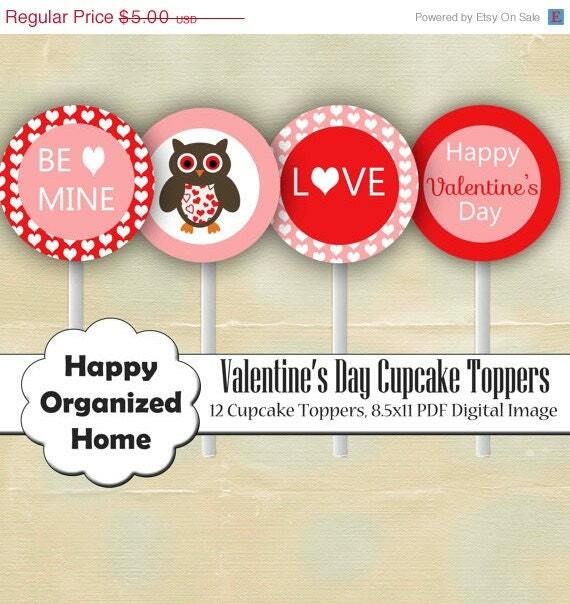 I have a bunch of printable cupcake toppers on sale for the next 2 days for only $2.00 . 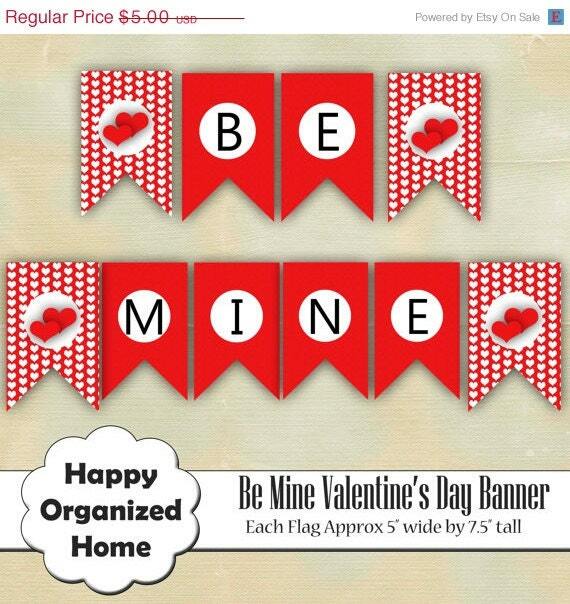 How about including a Valentine's Day Banner. You can add them to a window, your fireplace mantel or even from a stair railing. 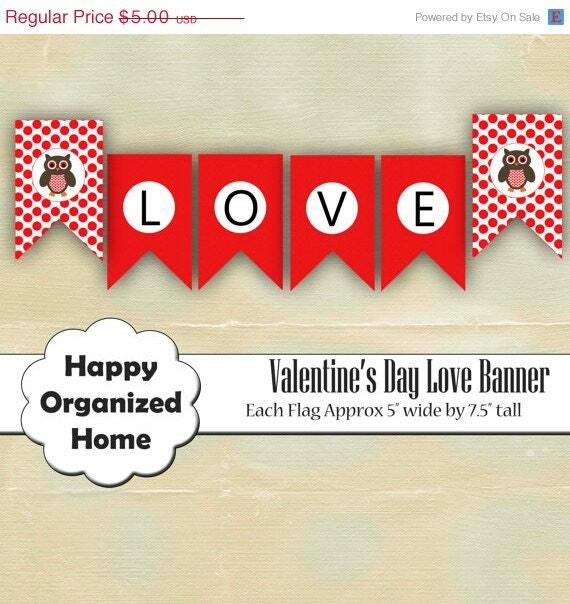 Printable Valentine's Banners are also only $2.00 for the next 2 days. You can also add these cute little flags to your straws to add a little Valentine's Day decoration to whatever you are drinking. Tomorrow, let's talk about FOOD. One of my favourite things to talk about.